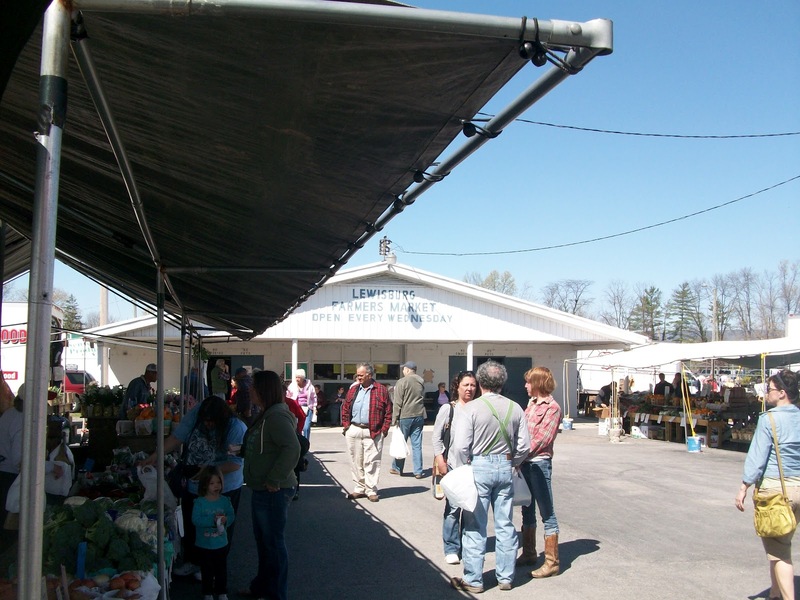 The Lewisburg Farmer's Market is open every Wednesday and today was a perfect day for wandering around the many food stands and flea market tables. 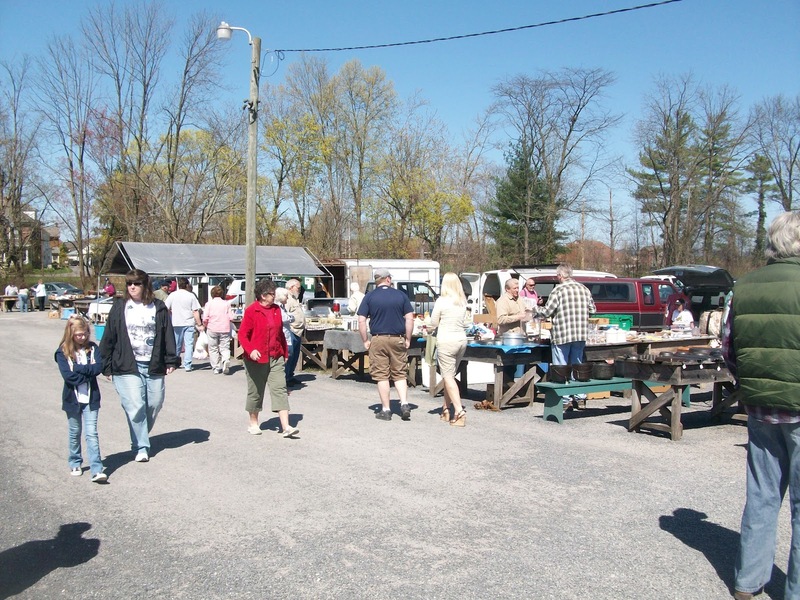 Locals still know the Farmer's Market as "The Auction." 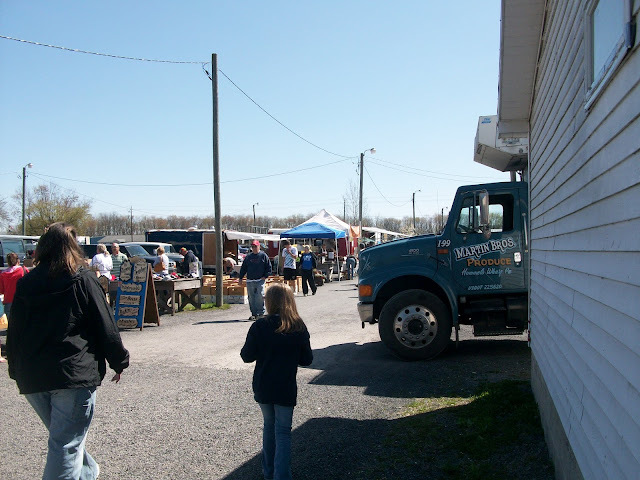 When I was little, the Farmer's Market held an auction every Wednesday evening. 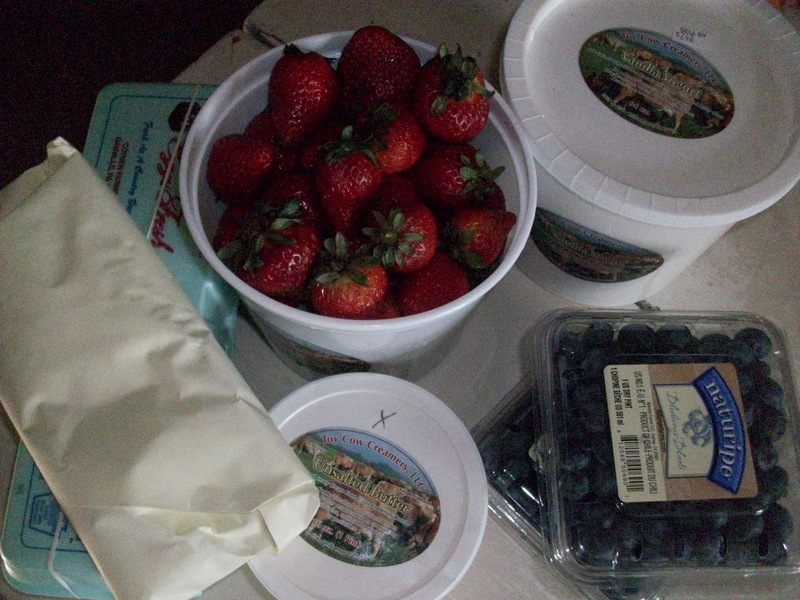 The auction part was discontinued, but The Farmer's Market, thankfully, lives on. The pictures above give you an idea of the many stalls and stands that are open in the outdoor area on a beautiful, sunny Spring day. Last week, we had a thunderstorm, and not nearly as many vendors showed up. 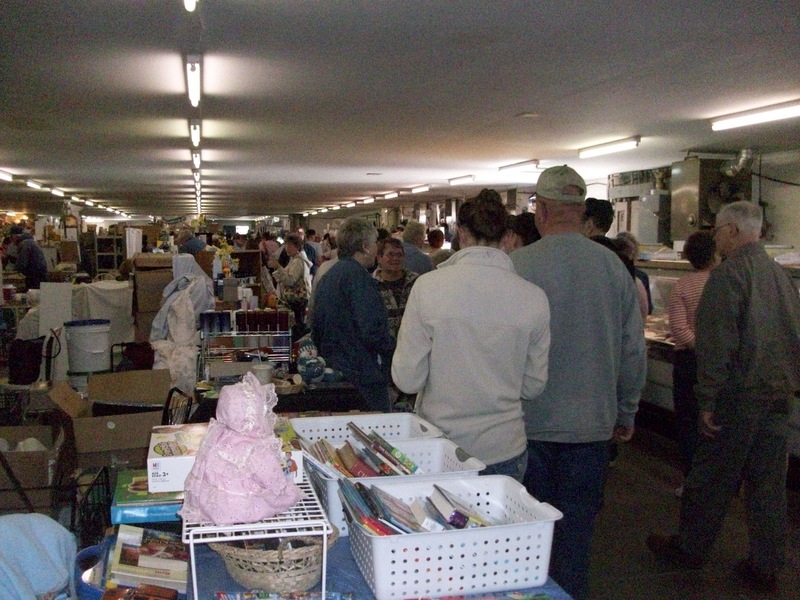 Cast iron pans, canning jars, DVDs, gourmet dog biscuits, Easter flowers, country furniture, jewelry, glassware, and assorted odds and ends were all on display and for sale. Inside was jammed. It was lunchtime. A lot of people come to eat here. Along the right side of the photo, people are lining up to make their meat purchases. The center aisle is a mixture of flea market items and fresh produce. The other side is mostly produce. The honey stand is where I get honey when I need it. They have all kinds of honey, like clover, orange blossom, buckwheat, tupelo, and more. They don't have mesquite honey, though. I love mesquite honey. 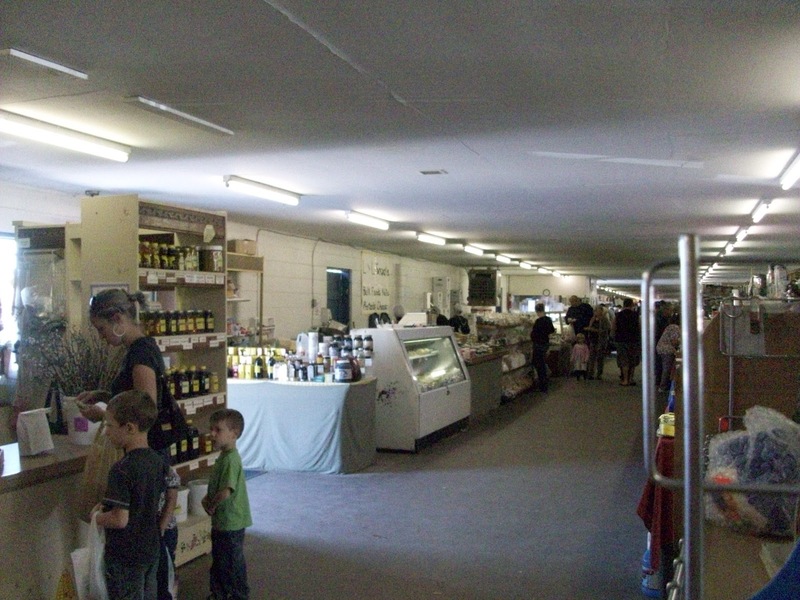 The stand next to the honey features all kinds of bulk food, really inexpensive spices, country butter, and cheese. 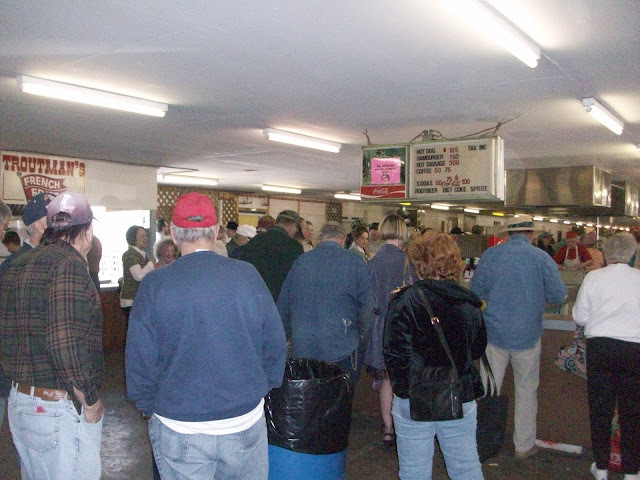 The very center of the building features the main food stand, where people gather to gossip over a burger and soda. You can see the menu. A quick, cheap lunch is enjoyed by many folks here. 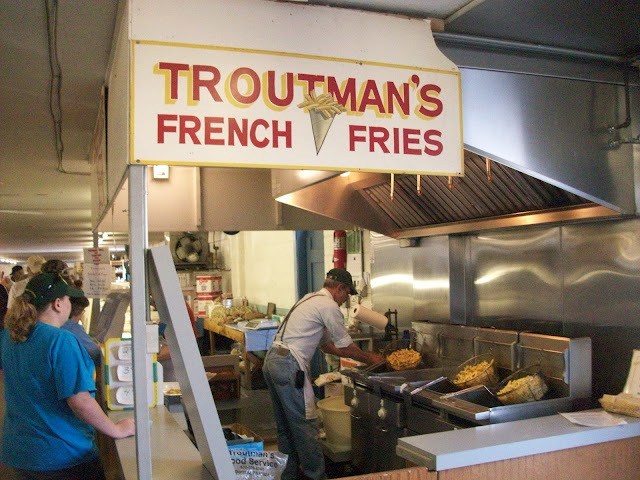 Ever since I was a little kid, Troutman's French Fries have been a delicious treat. I didn't have any today, but if I did, I would have fixed my fries the traditional way here in Pennsylvania Dutch country -- with lots of salt and a splash of vinegar. Sometimes I add a bit of ketchup. These are the best fries in the world. I saw in the news today that Union County is the healthiest county in Pennsylvania. I can't help but think that the Farmer's Market plays a big part in that honor.